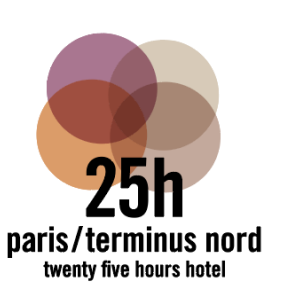 The 25hours Hotel Terminus Nord is situated in the heart of the French capital, directly opposite the Gare du Nord train station. From the outset it was operated as a hotel throughout its long history. As 25hours, it has now been filled with a whole fresh, new life and has become a casual hotspot in the exuberant 10th arrondissement. The prestigious Parisian architectural firm AXEL SCHONERT ARCHITECTES created the building’s design. The building was carefully redeveloped and completely redesigned under the responsibility of Axel Schoenert and his team. 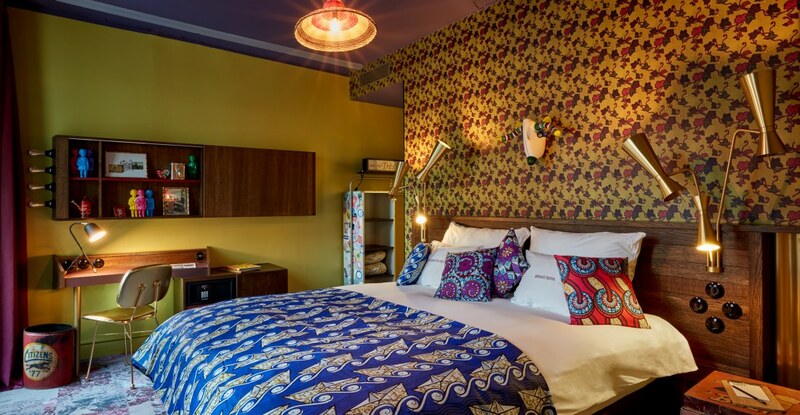 The lively hustle and bustle in the 10th arrondissement and its colourful mix of cultures inspired the hotel’s creators to grapple with the most diverse influences. Andrea Kraft-Hammerschall and Armin Fischer form the creative team DREIMETA from Augsburg, congenial partners in the development of the design process involving the bold and bright style worlds of the African and Asian residents of the quarter. They were supported on site with stimuli and ideas by an expert on the district. The art expert Alex Toledano wrote his graduation thesis on the people and history of the neighbourhood. With his Parisian art consultancy agency VISTO IMAGES and his team of curators and artists, historians and storytellers, Toledano developed a custom-made artistic concept for 25hours – including impressive wall art and the large-format “Neighbourhood Heroes” portrait series. 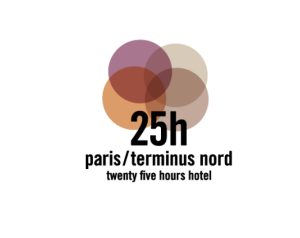 Expressive and imaginative, the 25hours Hotel Terminus Nord creates its own unique world that provides modern services to a fresh breed of urban nomads. The ground floor with its reception and kiosk attracts travellers and locals alike. The reception is the go-to place for all wishes, questions, or even just a friendly hello, and also functions as a kiosk. Quite in the tradition of larger, older grand hotels, it stocks the personal items needed by guests in emergencies, as well as a fine selection of books and beautiful things. The kiosk also sells products from the hotel rooms like cuddy toys or the “Stop the water while using me!” toiletries range. The Restaurant NENI and the SAPE BAR are considered the pulsating heart of the 25hours Hotel Terminus Nord. The restaurant is the place to meet for lunch or dinner and in the bar one can enjoy a casual drink or two in a relaxed atmosphere. Adjacent to the Restaurant NENI, two multifunctional rooms are available for small events or meetings, with space for up to 8 or 14 persons respectively.